Now that the farce of the group stages of the Cricket World Cup are now done, the tournament is now worth bothering with. And in Mohali next Wednesday morning, we may see the most compelling game of cricket of 2011. Let's not mince words. England weren't beaten by Ireland at Landsdowne Road last Saturday (I'm going to try to avoid referring to it as the AVIVA Stadium), they took a beating. This is a relatively young England side who have achieved success in quite a short time. Ireland on the other hand, are a team of slightly grizzled, gnarled players, who have begun to look over the hill since winning the Grand Slam back in 2009. In our latest episode I look at the epic "duel in the sun" between Jack Nicklaus & Tom Watson at the 1977 Open Championship & Turnberry, while Jonathan focuses on Bert Trautmann playing in the 1956 FA Cup final for Manchester City with a broken neck, as well as looking at the backstory of how a German fighting in World War II came to be looked upon as a cult figure in the nation that he was initially fighting against. Bit of a quick one readers. As this blog's been non-stop about Arsenal for the past month, I think a quick blast of Tottenham will help redress the balance. 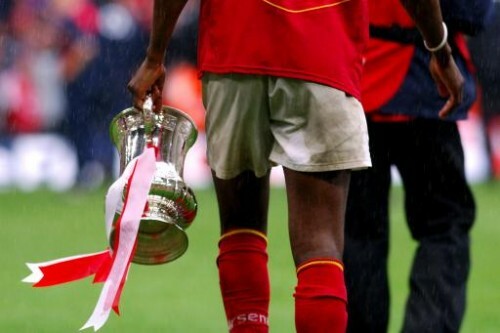 The Diary Of A Pessimistic Arsenal Fan - Do Trophies Matter? We look at what we've described as sports "landing on the moon moment" as Sir Roger Bannister becomes the first man to run a mile in under 4 minutes. Going through Bannister's career, and looking at what drove the man to push sporting achievement, we get to the core of what pushes a person to do what's viewed as impossible. The obligatory tangents break off into the uneasy relationship that exists between the similar worlds of geekery and sport. When I graduated from university, I remember the moments leading up to the ceremony. Many sentiments were expressed, but one stood out above them all; "I hope I don't trip up the stairs." Well, at Wembley on Sunday, Arsenal were clearly petrified of tripping up as they froze against a brilliant Birmingham performance to lose in the Carling Cup final.